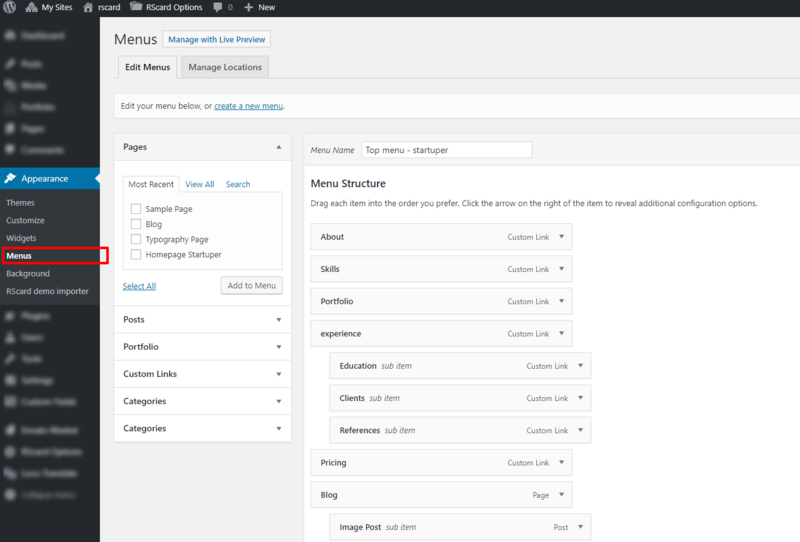 To create a menu, go to Appearance ▸ Menus from the admin panel. Click on “Create a new menu“. Enter a name for your menu, and then click on “Create Menu“. Every page that you’ve created up until now will be listed in the section on the left called Pages. Simply check the ones that you want added to the menu, and then click on the “Add to Menu” button. Once added, you can click and drag the menu items to rearrange them, or nest them one under the other. Underneath the menu items, under the section Menu Settings, check “Theme Main Menu” and click “Save Menu” in order to activate the menu you’ve just created. 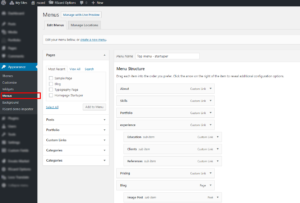 You should now have a functional menu on your pages.